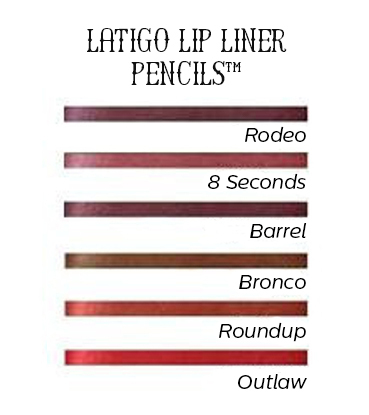 Cowgirl Dirt's Latigo Lip Liner Pencils™ are newly formulated and better than ever. Now softer and easier to apply and sharpen, there has never been a better excuse to lasso in your lipstick perfectly around your lips. Our new formulas are not only easy and better to apply, but with all natural ingredients, it's also a healthy choice. Our natural lip colored Latigo Lip Liners™ are easy to match to our Yeehaw Lipsticks™ and to your natural lip color. There is no longer an excuse for smudged lipstick out on the ranch with newly formulated Latigo Lip Liners™. With Latigo Lip Liner Pencils™ you don’t ever have to worry about lipstick smudges. It clearly defines your lips to have added dimension which will draw attention to a great lip look. These pencils are specially formulated to moisturize and protect your lips. The pencils are easy to sharpen and apply--defining your lips has never been easier! .04 oz pencil. This is a great lip liner. I have 'outlaw' and the color is perfect. I am sure you won't be publishing my comments. I have already contacted you for a complete refund. The 2 lip liners I bought could not be used. I attempted to sharpen them with a sharpener meant for this and also a new single edge blade. I always use these for other lip and eye liner pencils without any difficulty. Your products just crumbled, making them impossible to use. I even tried freezing them, hoping if they were colder they would sharpen, however, this did not work. I was very disappointed. Someone needs to check the quality control of these lip pencils. I was told I would receive a refund, which I expect. I really cannot give even one star, however, that was the lowest choice you offered. Newly formulated Latigo Lip Liner™ Pencils! 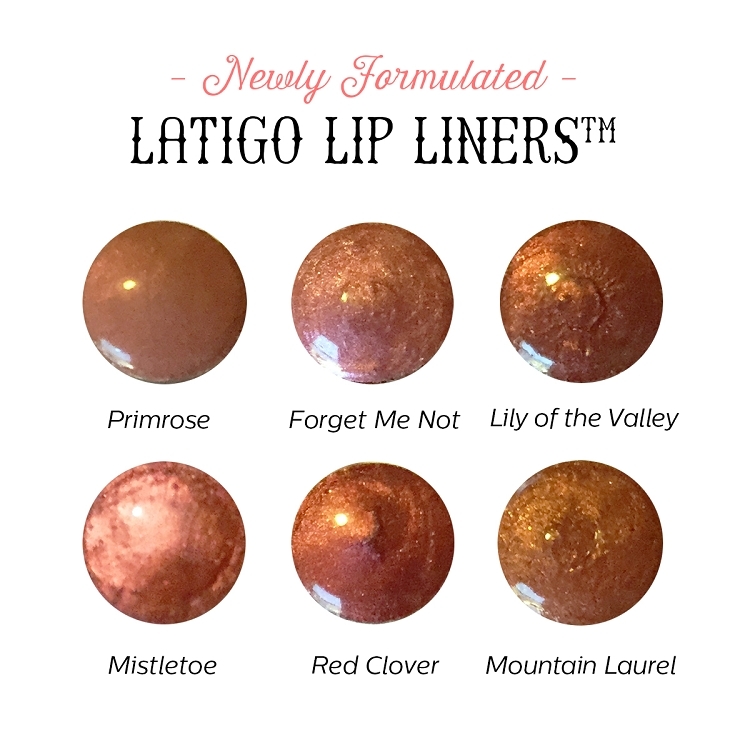 With even better natural ingredients than before, these newly formulated Latigo Lip Liners™ are sure to please. Jojoba Seed Oil: Nourishes and hydrates your skin. Vitamin E: Helps supply your skin directly with antioxidants, protects the epidermis, and combats against free radicals. Jojoba Seed Oil, Castor Oil, Candelilla Wax, Iron Oxides, Mica, Vitamin E.
Don’t worry about drying out your lips with Latigo Lip Liners™. These vegan pencils are specially formulated to give your lips multiple benefits. Avocado Butter: This antioxidant is full of amino acids, proteins, and vitamins. It also provides your skin with protection from the harsh elements and supplies moisture. Certified Organic Jojoba Oil: Brings nourishment and hydration to your skin. Certified Organic Shea Butter: This butter provides your lips with numerous benefits. It moisturizes, is a skin emollient, and revitalizes and repairs your lips. Certified Organic Ricinus Communis (Castor) Oil, Ricinus Communis (Castor) Wax, Certified Organic Butyrospermum Parkii (Shea Butter), Persea gratissima (Avocado) Butter, Certified Organic Copernicia Cerifera (Carnauba) Wax, Certified Organic Simmondsia Chinensis (Jojoba) Oil, Non-GMO Natural Vitamin E Oil, Certified Organic Non-GMO Caprylic/Capric Triglycerides (Coconut Oil Extract) (+/- Mica, Iron Oxides, Manganese Violet). *Note: The 8 Seconds and Outlaw shades contain Carmine and are not Vegan. For best results, start with a freshly sharpened pencil. If the tip is sharp it will make application a breeze. Simply outline the perimeter of your lips to set a perfect boundary for your lipstick. With Latigo Lip Liners™ you won’t have to worry about your lipstick smearing for the entire day. 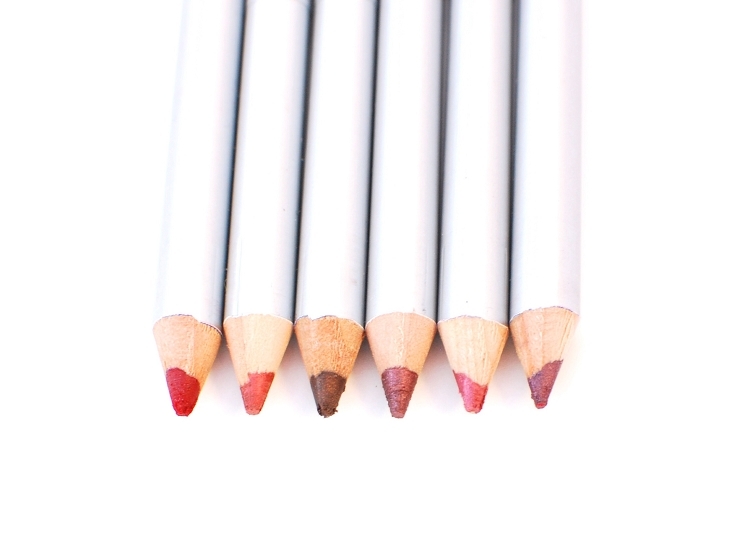 Latigo Lip Liners™ are easy to blend with most shades that are similar. Try these great combinations for a great lip look!